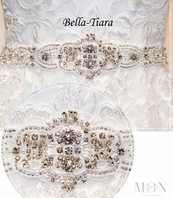 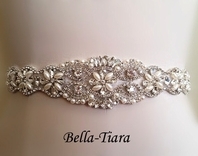 Description: Stunning new Swarvoski rhinestone design dazzling and classic for brides or bridesmaids. 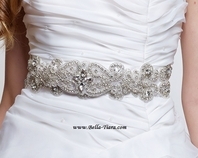 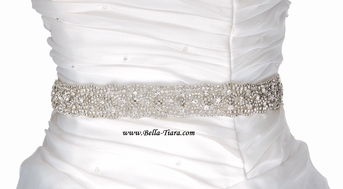 There are 3 yards long ribbon attached to the rhinestone belt, so you can tie a bow in the back. 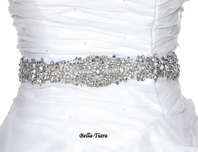 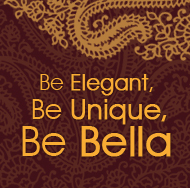 Please contact us what color of the ribbon you need . 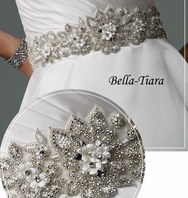 White, light ivory ivory, black, champange ribbon available.